Though they are rare, this is not the Northeast's first time dealing with a hurricane. On September 21, 1938, a hurricane, later to be known as the Long Island Express, came roaring up the Eastern Seaboard over Long Island and through parts of New England with a fury beyond any coastal storm in the memory of the people living there. According to the U.S. Weather Service, it had already been raining for days ahead of the storm and the tide was near its highest point when the storm made landfall. The effect of the storm surge was devastating, the destruction of property immense and the loss of life severe. Where it hit, the storm took most residents by surprise. No early warning came telling them to get out of the way. No substantial preparations to structures had been made. A 2.9 magnitude earthquake has been reported near Altamont, New York, Gov. Andrew Cuomo said in a statement Saturday. "Although this was a mild earthquake, out of an abundance of caution, I have ordered immediate inspection of nearby infrastructure, including a NYPA (New York Power Authority) inspection of the Blenheim-Gilboa Dam in Schoharie County," Cuomo said. Filed under: Earthquake • New York • U.S.
[Updated, 11:18 p.m. ET Saturday] Irene made landfall about 7:30 this morning on the Outer Banks as a Category 1 hurricane, with sustained 85 mph winds. The center of Irene is moving north through the Pamlico Sound and will exit the North Carolina/Virginia coast near or over Virginia Beach back into the Atlantic Ocean late this afternoon. The storm will then rake the Northeast from Virginia to Maine as it hugs the coastline. Storm surge will be worst to the east of where the storm makes landfall. - Norfolk, Virginia: City is in the worst weather now with winds diminishing after midnight. - Washington: Expect tropical storm force winds in next few hours. Expect worst winds from 4 a.m. to 7 a.m. No hurricane force winds expected. - Atlantic City, New Jersey: Already experiencing tropical storm force winds. Worst winds should be 4 a.m. to 10 a.m. with hurricane force winds likely. Landfall possible around 8 a.m.
- Philadelphia: Watch for tropical storm force winds after midnight. Worst weather should be 5 a.m. to 9 a.m. Hurricane force gusts are possible. - New York City/Long Island: Tropical storm force winds 4 a.m. to 6 a.m. Worst winds should be 9 a.m. to 2 p.m. with hurricane force winds possible. The center of Irene should pass just east or over the city around 11 a.m. The strongest hurricane force winds will be over eastern Long Island. - Providence, Rhode Island: Tropical storm force winds should arrive around 7 a.m . Expect the worst winds noon to 5 p.m. with hurricane winds likely. - Boston: Tropical storm force winds should arrive around 2 p.m. The worst of the storm should be 5 p.m. to 9 p.m. with hurricane force winds possible. - Canada: The center of the weather system should enter Canada by 8 a.m. Monday. A satellite NOAA image of Hurricane Irene on Saturday, August 27, 2011. Hurricane Irene made landfall off the coast of North Carolina early Saturday morning. 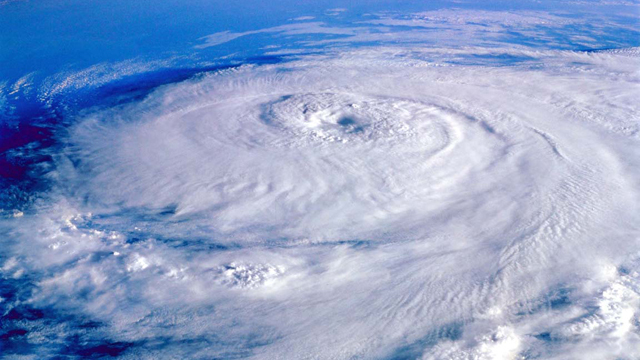 With a cloud field more than 800 miles wide and maximum sustained winds of 85 mph, the storm is massive. Despite being downgraded to a category 1 hurricane, Irene is still a force to be reckoned with, bringing heavy flooding and damaging winds as it continues its path up the eastern seaboard from Virginia to Maine. Today, you've gotta watch the most dramatic video of Hurricane Irene. Al Qaeda's second-in-command, Atiya Abdul Rahman, has been killed in Pakistan, a U.S. official said Saturday. - CNN'S Pam Benson and Reza Sayah contributed to this report. Hurricane Irene continues to crawl north after making landfall Saturday morning in North Carolina. The storm is expected to head up the East Coast from Virginia to Maine, bringing hurricane-force winds, heavy rain, flooding and widespread power outages. [Midnight] Authorities shut down the Port of New York and the Port for Long Island Sound late Saturday as Hurricane Irene closed in on the New York City area. Also, the Palisades Interstate Parkway entrance to the George Washington Bridge in New York City has been closed due to weather conditions, according to a statement from the Port Authority of New York and New Jersey. [Update 11:40 p.m.] U.S. President Barack Obama has signed a disaster declaration for Puerto Rico in the aftermath of Hurricane Irene. The declaration frees federal funds to help in the recovery effort, according to the White House. [Update 11:20 p.m.] The Southeastern Pennsylvania Transit Authority closed down late Saturday because of a tornado warning in Philadelphia, according to SEPTA representative Jerri Williams. [Update 11:05 p.m.] Irene remains a category 1 hurricane with sustained winds of 80 mph and gusts to 100 mph, the National Hurricane Center said in its 11 p.m. ET advisory. [Update 11 p.m.] Storms in Delaware damaged 30-40 homes Saturday night in the town of Lewes, according to Ed Schaeffer, a fire department spokesman. Five of them were damaged severely. There were no injuries, he said. A tornado watch remains in effect until 5 a.m. Sunday. [Update 10:47 p.m.] The National Weather Service has issued a tornado warning until 11 p.m. ET for the city of Philadelphia, including east-central Chester County, northeastern Delaware County, central Philadelphia County and southeastern Montgomery County. [Update 10:37 p.m.] New York Mayor Michael Bloomberg, addressing reporters Saturday night, said residents should prepare to hunker down as Hurricane Irene approached. "The storm is finally hitting New York City," he said. [Update 10:26 p.m.] The National Weather Service has issued tornado watches - extending through 5 a.m. Sunday - for parts of southern Delaware, eastern New Jersey, southeastern New York and Long Island and southwestern Connecticut. [Update 9:52 p.m.] A tornado touched down in Lewes, Delaware, damaging at least 17 homes, the governor said Saturday night. There were no immediate reports of injuries, Governor Jack Markell told CNN affiliate KYW. He wouldn't have official damage figures until Sunday morning, he said. [Update 9:42 p.m.] Amtrak said Saturday night it is suspending all service north of Jacksonville, Florida, and east of Toledo, Ohio, and Indianapolis through Sunday because of Hurricane Irene. [Update 9:27 p.m.] As of 9 p.m. ET Saturday, the storm was centered about 155 miles south of Dover, Delaware, moving northward at 16 mph, according to the National Weather Service. The storm’s intensity was 80 mph “with the center of the hurricane passing very close to the coasts of Delaware and New Jersey from late tonight into Sunday morning,” according to the weather service. “The storm will bring damaging winds … torrential rain with dangerous flooding … and coastal flooding,” the weather service said. [Update 9:17 p.m.] Philadelphia International Airport will close Saturday at 10:30 p.m. ET and won’t re-open until 4 p.m. Sunday at the earliest, said spokeswoman Victoria Lupica. The airport had already cancelled all departures because of Hurricane Irene. [Update 9:03 p.m.] Newark, New Jersey, Mayor Corey Booker said he’s been going door to door warning residents to flee the storm. “We're strongly encouraging residents to leave,” Booker told CNN Saturday night. “I benefited a lot from the surprise factor as the mayor showing up [at their doors],” he said. "I think they got the point, and hopefully they’ll behave appropriately. Booker said ultimately the city would do what it could to save people in distress due to the storm.